When it comes to dog training, there is perhaps no one more famous than Cesar Millan. 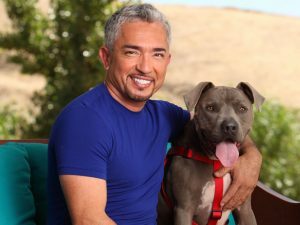 Known to millions as the “Dog Whisperer” thanks to his hit cable TV show, Millan is almost certainly the most famous dog trainer in the world. Now, Millan has put his best tips and stories into a book designed to help owners train dogs to be the best they can be. In “How to Raise the Perfect Dog: Through Puppyhood and Beyond,” Millan discusses the proper foundation for training your dog at home. Millan relates his own personal experiences as a dog trainer to different problems that dog owners typically face while giving clear instructions on how to take control of your problem pooch.